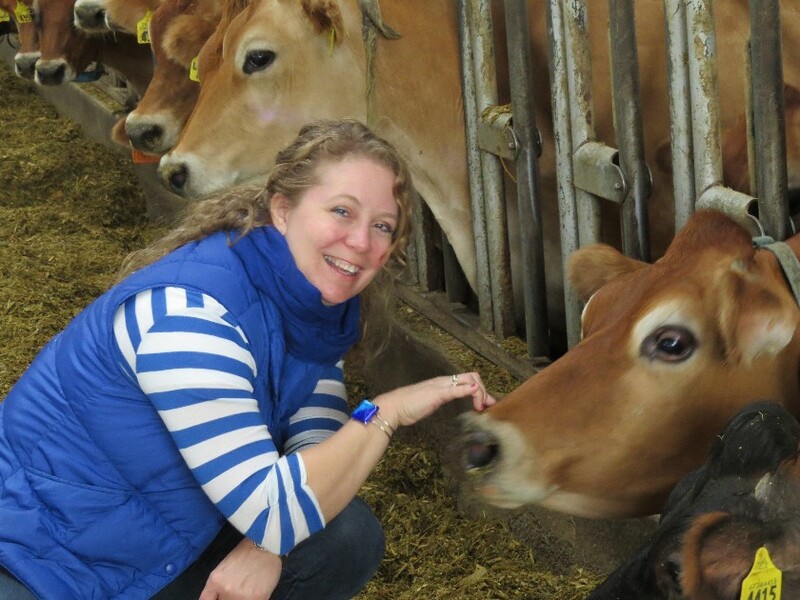 Working with dairy cattle comes naturally to this company: the founder of The Global Cow, Jill Stahl Tyler, grew up on a dairy farm in northern Illinois. From birth, she's loved cows. And from a young age, she also was fascinated by international people and their languages and cultures. Jill graduated with an agricultural communications degree from the University of Illinois at Urbana-Champaign--plus an additional degree in Spanish. While in college, she studied in Spain and traveled Western Europe. After completing her degree, she spent half a year in Argentina studying international agricultural economics, and the other half teaching English in Brazil. She also worked as international marketing director for the Holstein Association USA, working in Brazil, Mexico, South Africa, Ukraine, France, Italy--and with people from all over the world. It was a natural move to focus on international dairying when she began The Global Cow in 1991. "I firmly believe that there is nothing more life-changing than international experiences," Jill says. "Although it sounds naive, I am completely convinced that the world would be a better place if everyone were able to live abroad. With increasing globalization and better technologies, our world is smaller every day. The more international experience we all have, the better decisions we make from everything from personal choices to managing dairies. "Everyone used to joke with me that I was going to teach cows Spanish," she says. "I am still not convinced that the cows need to understand each other's languages. But I am positive that dairy producers around the world learn from exchanging ideas. And we as as people benefit from learning more about each other's cultures, languages, life styles and values." The Global Cow makes the international exchange of ideas between dairy farmers as easy--and fun--as possible. Personal update from Jill: Our family numbers two adults, at least three children and two dogs. We also have added nine rabbits, 20+ chickens and numerous fish to our household. Nathaniel is a sophomore in college; Ryan is about to graduate high school; Kiran is about to graduate middle school! Exchange students are also frequently guests in our home! Global Cow Facebook Fan Page has more more photos--including the office dogs, Abby and Sofie. And just for fun, Jill also shares a "Beauty of the Day" every day, where she blogs about Vermont life and muses about "education matters" through her bi-monthly column in the local paper. We live in beautiful southern Vermont, in the town of Brattleboro (home to the U.S. Holstein Association). The office dogs are Abby, an eight-year-old Rottie, and Sofie, a six-year-old yellow Lab.